This week’s Book Blogger Hop question: Do you have a book with a location that you just HAD to visit after reading the book? The last time I was in London, I found a hotel near Kensington Gardens. It was practical for other reasons–on good Tube lines, good price, central to lots of things I wanted to see. But there’s no point in pretending that I wasn’t assessing that neighborhood because of The Little White Bird, or Adventures in Kensington Gardens by J. M. Barrie. Mr. Barrie gives us a full tour of the gardens, and many of the landmarks are still there! Plus his house turned out to be two blocks from my hotel (not planned, I swear). It all worked out brilliantly–I at least walked through the Gardens every day of my ten-day trip, and it was lovely to have somewhere to go every time I had a spare hour, or wanted to sit down and journal. 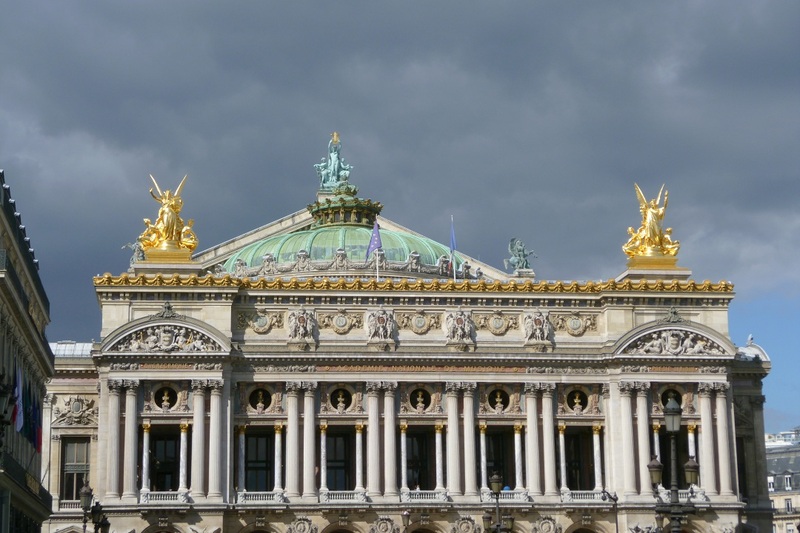 As to the second place, well, I have a bit of a thing for The Phantom of the Opera, so of course I wanted to see the Opera Garnier, the real life Parisian opera that’s the setting for the story. And since I was as close as London anyway… I spent three days in Paris and saw lots of wonderful things–but I was really in it for the Opera. And it was amazing to see. I had read or seen so many versions of the Phantom story, but it never felt like a real place until I was there–and saw Box Five and the chandelier for myself! Those were the highpoints of that trip–but I also saw Sherlock Holmes’ parlor at 221B Baker Street, Quasimodo’s gargoyles at Notre Dame Cathedral, Eloise’s apartment building from the Pink Carnation series, and went on a Shakespeare and Dickens walking tour. And just to round the whole thing out, I managed to read The Little White Bird (sitting in Kensington Gardens), Susan Kay’s Phantom (sitting on the steps of the Opera), an installment of the Pink Carnation, and a Sherlock Holmes novel while I was traveling! Have you been to amazing places after reading about them? Or is there somewhere you’d love to go? Harry Potter fans should check out Kings Cross Station in London. Platform Nine and Three-Quarters is really there! At least, it was when I visited. Cheryl, that trip sounds fantastic! I make occasional trips to England for business, but I have only spent 2 days in London in all that time. I did make a trip to Stratford-on-Avon to see the Shakespear sites and attend a play. I think I need to schedule a visit to London to check out some of the locations you mention. Great places to visit. I love the photos you added. 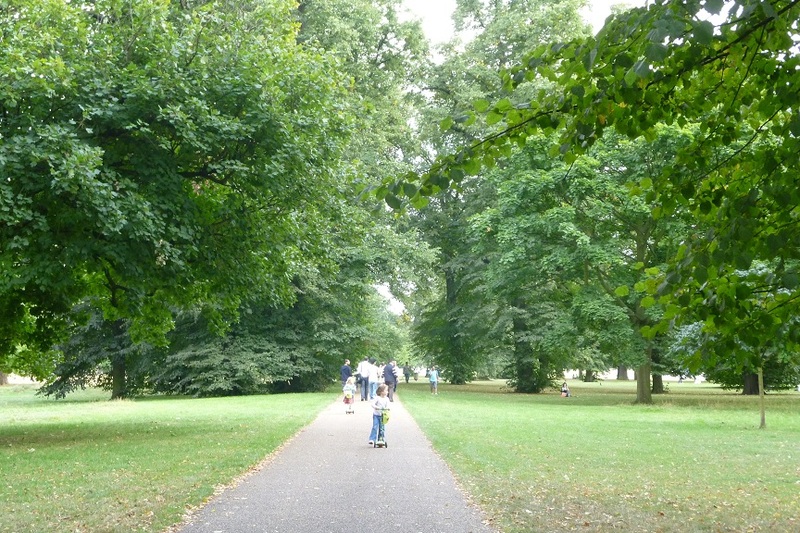 Kensington Gardens looks gorgeous! I rarely travel, so I haven’t visited any of my favorite novels’ settings, but I do have a wish list of places to visit in my post on the Blog Hop.